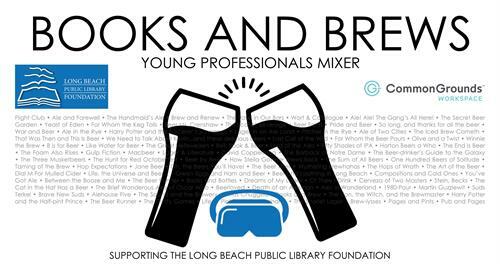 Join us for our Books & Brews young professionals mixer supporting the Long Beach Public Library Foundation. Entry includes drinks, appetizers, test drive of the Library’s VR technology, and a chance to explore the new CommonGrounds Workspace. Tickets must be purchased in advance. Tickets will not be sold at the door.